squeezing more juice out of a litre of crude? The trick lies with its engine start stop system offered in a new Eco Pro mode. This fourth driving mode (the other three being Normal, Sport and Sport Plus) is entirely new to the BMW range available around the globe. And now it's a standard feature available in BMW cars sold in India as well. The 5-Series is the first to get this technology and its simply brilliant. 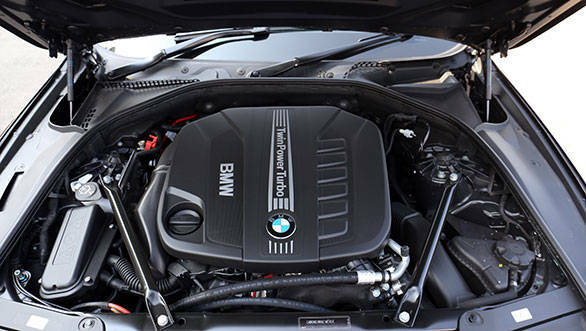 It makes the 5-Series a well rounded car adding a whole new level of flexibility to its massive 3-litre 6-cylinder diesel engine. When you shift into Eco Pro mode done by simply toggling a switch on the centre console located next to the gear lever the dials turn blue and the tachometer is replaced by a charge meter. This meter shows if you are consuming power and how much or recharging the system using the brake regenerative system it is equipped with. 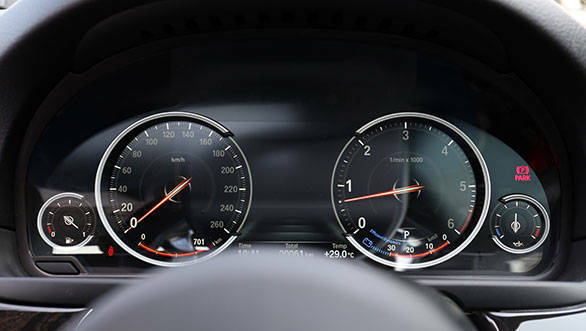 The speedometer too is highlighted only till 80kmph which is the indicated optimum speed you should be driving at though you can cross that threshold. With the start stop system activated, the engine switches off completely when you come to a complete halt at a traffic light for instance. As long as you hold the brake pedal down the engine will continue to stay off but release the pedal and it instantly cranks back to life. The only offset to this is that the air-conditioning system also switches off when the engine shuts down. However if the waiting period exceeds some 5 minutes then the engine kicks back into life to activate the climate control system. If you want to bypass this system, the only way to do it is to toggle into the normal driving cycle. 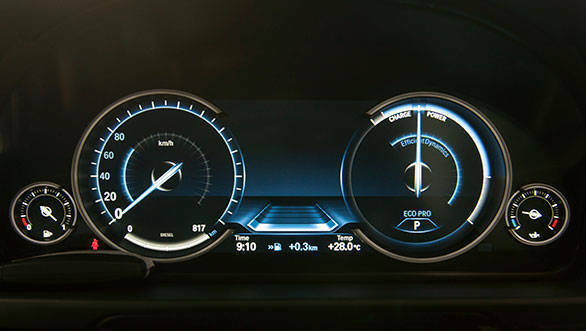 The Eco Pro mode also alters various other aspects of the car to enhance efficiency such as managing the energy delivered to the air conditioning system, optimizing the shift points in automatic mode and tweaking the accelerator responsiveness. One obvious difference in this mode is the performance and while you still feel the surge of seamless, linear power pushing you back into your seat, the sport or sport plus mode are definitely better modes to be in if you want to experience the sheer pace this diesel is capable of generating. In either mode you get to experience the full brunt of the 540Nm of torque, yup this is one of the torquiest sedans in India in this segment. A full-bore acceleration is best sampled in Sport mode which allows the traction control to maintain some semblance of control. With the drive mode switched to Sport Plus, you are looking at long darkies and at least 500 kilometres of life scrubbed off the tyres! So what is the performance like, BMW claims a 0-100 in 5.3 seconds and we won't disagree with that too much. We tested the car for performance too, not just efficiency and our VBox clocked the 100kmph at 6.2 seconds. Not as quick as the claimed figures yet this is a seductively comfortable sedan when driven comfortably but with large sticks of dynamite on extremely short fuses waiting to be lit when the need arises. The performance is actually a dead giveaway once you see the way its styled. 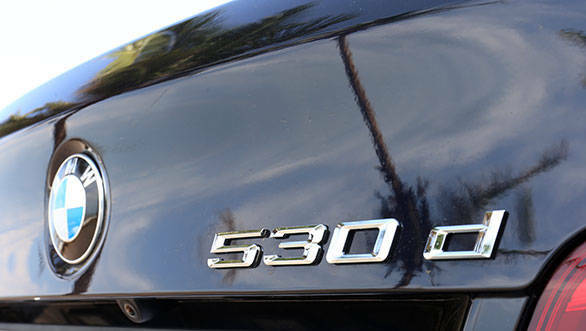 The 530d on our test came with the M Sport performance kit exclusive to the 530d. 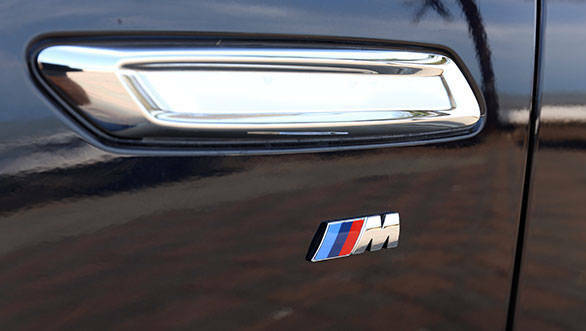 It packs in the M5 front bumper, the racy 5-spoke alloys and a twin exhaust at the rear along with the M division badge on the front fenders. 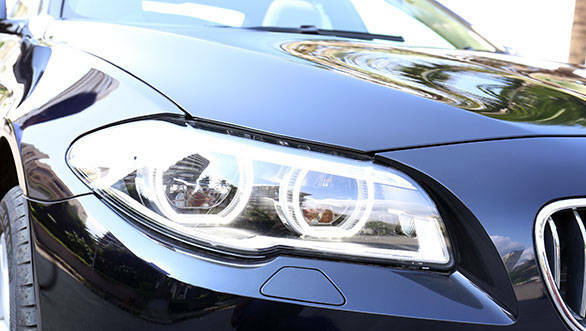 This new generation 5-Series also gets a new set of headlamps that use LED technology, a few contours added to the lines and some other visual refreshes that are almost unnoticeable. The cabin offers new revised details as well dominated by the new 10.25-inch TFT screen displaying all functions. 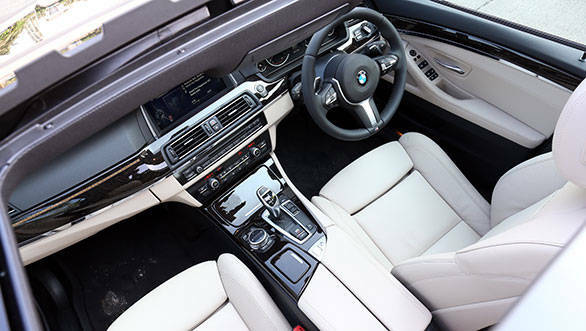 Look below the TFT screen, next to the gear lever and you will notice the iDrive controller has a large flat glossy surface that also doubles as a touchpad. You can use this to spell out phone numbers, navigation destinations and other commands but its not a flawless system yet. And finally let me touch on the ride quality and driving feel. The 5 Series is a lovely car to drive in urban areas as much as it's a pleasure to drive out of town. The electronically assisted steering is brilliantly precise though like all electronic steering systems, it offers no feedback. It is however something I am slowly coming to ignore in urban driving cycles as long as the steering is precise and effortless. The ride quality is also surprisingly un-BMW-like. There is a softness that makes driving or being driven around a comfortable proposition. 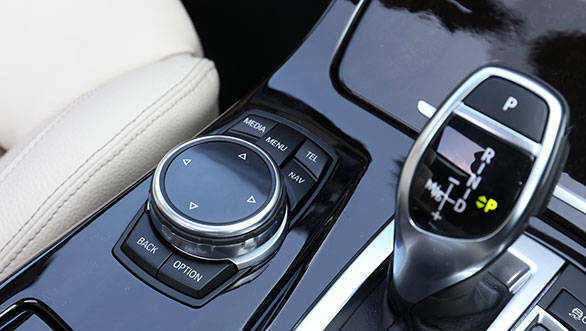 Shifting the driving mode to comfort fully releases the luxury potential this car possesses. Shift into Sport or Sport Plus and the suspension stiffens up considerably and in a city like Mumbai this can get ridiculously harsh. 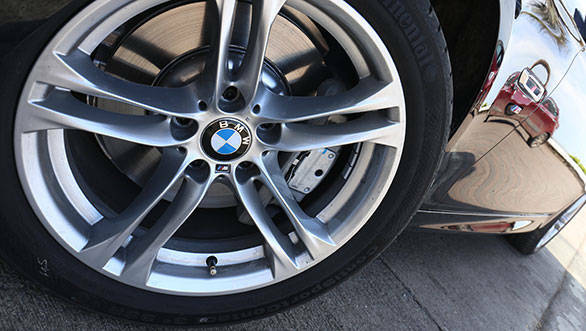 Even in comfort mode however there are a few bumps or potholes that the 5 Series crashes into. 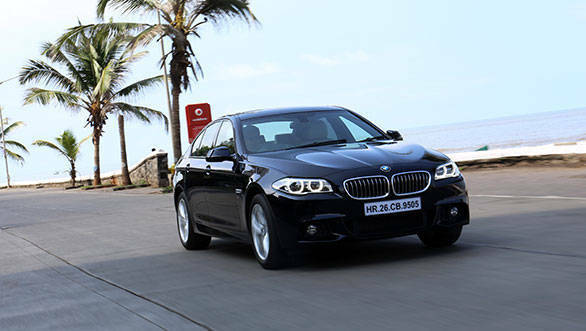 Interestingly BMW India is banking solely on diesel engines for this current generation 5 Series. This may not be the best direction to take in the market place but there is no denying the fact that diesels and especially BMW diesels are hugely popular. And the 530d is without a doubt the pick of the litter.